Follow Your Heart and Just "Be"
Regardless of where on the planet you might live, what culture you've grown up in or how successful or unsuccessful you perceive yourself to be, we all have, deeply ingrained within us, an innate desire to experience more in life. As true as that is, the more I connect with and work with people from around the globe, I'm becoming increasingly aware that the vast majority of people I connect with are attempting to manifest these individually held "desires" in a way that I've come to believe, based on many years of personal experience, to be less effective than possible and in many cases disharmonious with creating their individually desired outcomes in the fastest, most efficient and simplest way possible. Through my interactions I'm finding that most either ignore, overlook or are unaware altogether, of THE single most important aspect of creating whatever more they might desire individually. I'm also finding that the reason behind it is that for the most part, the vast majority of people "believe" and attempt to make their desires "real and tangible" in a very limited way...a way in which is far less productive, requires much more effort and in a number of cases serves to take them further away from rather than closer to where they "truly desire" to go. It's the very reason that so many quit prematurely or never engage themselves at all in making their "heartfelt desires" real and tangible. Actually there are a few reasons why some never achieve extraordinary results in their lives. One of the big ones is that there are some people who have simply lost sight of the fact that their once held desires can become real at all. Based on the experiences they've had throughout life they've simply given up on ever achieving them. Then there are those who still do have high hopes of reaching any infinite number of hopes, dreams, goals and visions but "perceive them" to be much more difficult to create and experience than necessary. Here's why I've found that so many have come to "believe" that. They focus strictly on doing. They "perceive" that their power is expressed through their doing. And it's no wonder. We're taught throughout our lives that it's necessary to do…do…do to get what we want. And although that's partially true, it's not entirely true. Doing is NOT where your "true power" is found or expressed which is precisely why so many "perceive" themselves as having no or very limited power to change the undesirable events, conditions and circumstances in their lives into the desirable. It's simply because there's "more" to creating extraordinary results in life than simply "doing". Something that is VITAL to harmonize our "doing" with to fulfill whatever desires we might have individually. Regardless of where you might currently find yourself...whether you've given up on making your "heartfelt desires" real and tangible altogether, are finding that making them real and tangible is quite difficult and "seemingly impossible" or moving nicely toward whatever you envision for yourself, I believe that what we'll be covering today can assist you immensely. It may simply provide a much needed reminder or perhaps even reignite the deeply buried hopes, dreams and desires that you once had but have given up on ever achieving. I know based on personal experience that it can assist any who choose to take the time to explore and apply what we'll be covering and that it CAN and WILL enable and empower you to begin creating and experiencing whatever your "more" might be in the simplest and quickest way possible should you choose to "allow" it to. In fact, if you're anything like me you'll discover just how exciting, exhilarating and pleasurable doing so can be. Although what we'll be covering does consist of some doing, at the same time it goes beyond doing what most have become accustomed to doing based on what they've been taught. It's a form of doing that will enable you to reclaim your power. Your "true power." There's something missing in the form of "doing" that most engage in and spend so much of their time "doing." A key yet missing element that all too often is disharmonious and conflicts with creating a kind and quality of outcome that aligns with what they "truly desire" to experience. They unknowingly and unconsciously choose a path...a way of "doing things" that often leads them further from rather than closer to their "desired" destination. So what is that often overlooked yet key element? Being. We've lost sight of the importance and the power behind being. More specifically "consciously being"...the kind and quality of which harmonizes with rather than conflicts with creating our desired outcomes as we go about "doing" whatever it might be that we choose to do to in the hopes that it will create the results that we want. Yes it's important that we "do", and take action of a "tangible nature", but in doing so I'm finding that many...most in fact have overlooked, lost sight of or are unaware altogether of the importance of being that always precedes doing which if done "consciously and intentionally", harmonizes their doing with what they love making all their "doing" far more enjoyable, productive and rewarding. We often "do" without any conscious awareness of the importance of becoming keenly and consciously aware of and harmonizing our "beingness" with all this "doingness" that we engage in which so many "perceive" to be the best, shortest and most efficient path to getting what we want. But it hasn't always been like that. Not in such large numbers at least. At some point in history we’ve digressed. For a vast number of reasons...far too many to cover here...we've lost sight of the importance of “consciously being” and chosen to walk a path of consistently trying, striving, struggling, chasing, fighting, fearing and working really hard all the while hoping and wishing that doing so is going create what we want. We've learned and adopted the belief that it's necessary to do whatever it takes regardless of how we feel about what we "do" and as a result end up doing things in such a way fails to provide the desired result. In some cases we do whatever we feel is necessary regardless of the cost, who it impacts or who might get hurt along the way. As a result we’ve lost sight of or are unaware altogether of the infinite probabilities available to us, the unlimited potential that is equally accessible by us and that we're all quite capable of achieving by simply choosing to slow down a bit, become conscious of and choosing do the right things in the right order. The first order of business that we must "do" to begin "consciously attracting" and experiencing desired outcomes is to make a conscious and intentional choice to become keenly and consciously aware of what we're "being." Once we "do" that...once we discover that what we've been being is disharmonious with what we want, we can begin making the shift and aligning our new way of being with whatever that might be. That's the missing and often overlooked key that is vital to getting what you want. Yet as vital as that is, the vast majority in the world today simply choose not to do it. We've tuned out and chosen to overlook the importance of becoming consciously aware of what we're "being" and made the less productive and often times self sabotaging shift to a form of "doing" that places emphasis on a strictly physical approach to getting and having whatever our individual desires might be. The consequence of choosing to "do" things in this way has resulted in a very large number of people...the vast majority in fact...believing that they have no power or that their power is defined by and limited to what they can do in a physical sense. We've become a people predominantly dependent on and easily swayed by the physical and finite...what we can see, hear, touch, taste and smell rather than tuning into and utilizing the infinite potential and probabilities made available to us. At some point in history, we’ve forgotten and lost sight of the fact that we are human beings and as a result, over a period of time have, for the most part become and believe ourselves to be human doers. We focus strictly on this physical form of doing and for good reason...at least we "perceive" it as being a good reason based on what most "know", define and "perceive" to be logical about life, ourselves and how tangible outcomes are made real. But is this common way of seeing things "logical" really? Well, it CAN be if we choose to remain limited by what we've "learned" throughout life and choose to hold onto what we "believe" to be possible, realistic, logical and rational based on the acquired beliefs and perceptions of others. But we also have the choice, the right and the ability to enhance that logic by choosing to stretch outside of our own self limiting and self chosen borders to discover and explore territory that we've previously chosen not to. Territory which clearly reveals that what we once may have "perceived" to be logical, rational and realistic...what we've come to "know" to be true...isn't REALLY logical, rational and realistic at all. In fact, we begin to see and understand just how limiting, restrictive and finite what we learned, perceived and so strongly believed to be "true" is. We begin to learn and understand who and what we truly are and the infinite potential that we each have the ability to tap into whenever and IF ever we choose. We don't HAVE to for sure. We can if we choose, keep doing what we've been doing and as a result keep getting what we've been getting. But I'm finding that's not what most people want. They want more. They want to be, do and/or have more. But at the same time as much as they WANT this change...as much as they hope, wish and pray this change would come, they choose to continue on in the same way they have, doing the very same things and when what they WANT doesn't show up, perceive that it wasn't meant to be. They end up believing that they're not capable...not worthy of receiving...that all their hoping, wishing and praying just wasn't God's will or any other infinite number of reasons. But it's NOT for any of those reasons. It's because we've been taught and led to believe that doing of a physical nature is, for the most part where our power comes from. All of the time and effort necessary to fully engage in this form of doing and busyness that we’re taught is necessary to survive and "get by" has swayed us...blinded us to and in the vast majority of cases keeps us from “doing” what’s most important. It’s also this loss of focus and lack of understanding of what's "truly important", that unnecessarily keeps so many from being, doing and having all that we love, desire and are quite capable of creating (or if you prefer, co-creating) for ourselves. Due to this “fairly new” and widely practiced way of “doing things”, we’ve made an unfortunate shift…a self limiting, dis-empowering and in some cases a detrimental shift…forgetting and in a number of cases ignoring the direction that is, always has been and always will be available to us regardless of who we are or where we currently find ourselves. A form of direction and guidance that never fails or wavers and always produces outcomes...tangible outcomes that harmonize with what we "truly desire." Where does this direction and guidance come from and where is it found? In the heart. It's ALWAYS found in the heart. We've ALL heard it. We're all quite familiar with the words "Follow your heart" yet we don't slow down long enough to really understand how powerful following such advice is, let alone making a conscious choice to tune into and DO that. In fact the words "Follow your heart" have, for the most part become a cliche. We perceive it to be a nice and "feel good" assembly of words that, in the vast majority of cases we never explore the depths of and never take the time to differentiate and become consciously aware of the difference between heart communication and head communication. It's a choice that we all the ability and the right to make for sure, but at the same time a choice NOT to do so is what so often creates a self limiting perception that we have no power to change the events, conditions and circumstances in our lives that we "perceive" as happening by fate, luck or chance. Developing the awareness of just how "true" that is can be easily verified and substantiated by becoming aware of the timeless and profound wisdom conveyed by the most insightful masters from all cultures since antiquity that once understood, internalized and applied, consistently creates what most today would “perceive” to be miracles. Many are aware of this timeless wisdom intellectually, meaning they know that it exists...they've heard about it...they've read it...they even meet weekly in many cases to talk and learn more about it yet they're unaware of how or simply choose NOT to consistently apply it in their lives. They "unconsciously choose" to continue "doing" what they have done, going through all the motions without understanding the transformational power behind becoming conscious of and willing to change what they're "being" to personally experience the transformation that such a choice makes. In a number of cases they allow the beliefs, opinions and perceptions of others to mold, shape and determine what they believe without ever investigating for themselves if what their being told and developing beliefs about is really true. 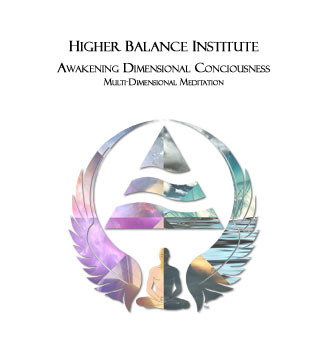 They listen to and absorb all this externally acquired data at an intellectual level and due to the "perceived" credibility of those who are providing it, they develop "intellectual beliefs" about it and base the many choices in their life on what they have been told. But in choosing to do things in that way, they overlook one very important factor and never learn to differentiate between intellectually acquired beliefs and heartfelt beliefs. They try to believe what their told. They sometimes even want to believe what they're told. They do the best they can to follow what they're told and "do" their best to do things in a way that adheres to these externally acquired "intellectual beliefs" all the while overlooking and remaining unconscious of the "heartfelt beliefs"...the "knowing" that exists below all the layers of this intellectual and externally acquired data. You could say we choose to follow the teachings of men rather than choosing to tune into and follow our hearts to discern if what we're being told is "really true" at all. My personal experience has been that spiritual texts are "profoundly true" and extremely informative for creating a harmonious quality of life once you get through all the individually held "perceptions and beliefs" of many who "tell you" what it means, what it should mean for you, and how you should act to make sure that you are "safe" rather than determining those things for yourself. Perhaps for you, spiritual wisdom isn't your cup of tea for whatever reason. You don’t have to be religious or even spiritually minded to validate and see just how “true” it is. Modern day science is making great progress in substantiating and documenting just how real, true and important "the untainted message" that the masters since antiquity have shared is. They’re discovering, revealing in tangible ways, documenting and consistently progressing toward understanding more about where our “true power” lies and how to initiate that power to create extraordinary results for those who are willing, serious, “truly desire” and choose to apply what so many leading edge scientists are discovering. They have proven and clearly shown that our quality of consciousness...our individual as well as the collective quality of consciousness impacts the very essence of "the stuff" that our world is made of. It doesn't matter which modality you choose to explore and discover the underlying and often overlooked process that determines our individual and collective realities. There are a number of paths available for us to discover just how true that is for ourselves. What does matter...what WILL determine if you'll become enabled and empowered to begin "consciously and intentionally shaping yours is if you choose or not to step outside of your currently existing "belief borders"...elevate and enhance the quality of consciousness that you might currently and have been choosing, to discover and experience for yourself just how "real and true" it is. ALL of these "seemingly separate paths" point to the very same ultimate conclusion and each convey the importance of "being." Regardless of which "path" you choose individually to enhance your understanding, as you explore and walk down them, it's vital that you develop the ability to tune in and remain conscious of the "heartfelt beliefs and direction" that surfaces as you explore and discern if what you're discovering is true or not. Heartfelt direction and guidance will ALWAYS lead and draw you closer to where you "Truly Desire" to go NOT away from where you FEAR ending up. Tuning into and becoming consciously aware of which you have been and are choosing will clearly reveal to you what you are and have been "being." That is THE single most important thing that you can DO to begin "consciously creating" and experiencing more of what you want. In today’s fast paced and high tech world, based on what we've been taught and have come to "believe" to be necessary to create our "desired results", we’ve become predominantly focused on doing of an external and tangible nature and lost sight of the importance of “doing” the necessary internal work so that we might harmonize our way of being with what we‘d love to see and experience externally. We’ve become for the most part conditioned to "DO" out of fear of losing and/or dying rather than placing emphasis on, consciously focusing, and elevating our awareness of what we‘re “being” by choosing to "do things" in this way. In the process we've lost sight of the importance of consciously focusing on the "Love" of winning and living. We’ve gotten our priorities messed up. We've become conditioned to focus on and engage in the opposite of what we "claim" that we want. We’re for the most part focused on running and moving away from what we’d rather not experience rather than consciously choosing, focusing on and moving toward what we "truly desire" and would love to experience. You could say that we’ve learned over time, to live by and "do" out of fear rather than tune into, "be" and engage ourselves out of love. We've become conditioned and as a result "unconsciously choose" to use our pre-programmed and limited intellectual capacities...depend on our intellectually acquired "beliefs" to make our most important life choices and in the process overlook the necessity of tuning into, becoming conscious of and following the direction of the heart. We've tuned out of love and into fear. To make the shift from fear back to Love is as simple as making the choice to get back in touch with and tune into our hearts. 1) Love is of the heart and fear is of the head. 2) Love makes the world go round. I can’t even begin to count the times I’ve heard…"Well yea Chuck love makes the world go round but it takes money to fund the trip." And that’s true. What those who choose to look at things in this way overlook and lose sight of is the fact that when you choose Love as your predominant way of being and "truly project it" in all that you are and do, MONEY or anything else for that matter will NEVER be a problem. So many focus on money thinking that once they get it they’ll be able to do what they love rather than choosing to "BE" and engage in what they love so they can attract and have the money to do and get more of what they love. So many focus on the fear of lack…the fear of loss…the fear of not having and in some cases the fear of success and somehow expect that such a way of BEING is going to somehow provide them what they want. Sorry folks, that’s NOT how it works. Never has…never will. Not in producing "desired" results that is. Yes, it DOES work, creation ALWAYS works and ALWAYS produces a result but this chosen way of "being"...this limited way of "looking at" things produces outcomes...tangible outcomes...that consist of the polar opposite of what you’re desiring to create. It’s NOT our having that determines what we’ll be. It’s our chosen way of BEING that determines what we'll HAVE. Get that because it is SO important in getting more of what you want!!! Be love, act out of love, treat others with love, do what you love and you’ll NEVER WANT for anything…including MONEY!! You can look at each of these choices...these chosen ways of being as a "seed." Love is a seed and fear is a seed. Whichever you choose to plant WILL produce a harvest that the process of creation in it's unwavering perfection will provide. The process of creation is ALWAYS harmonious with what we choose. When you first begin making this "shift", fear will no doubt surface. But when it does you simply make the shift back to love. There's no need to fear the fear that surfaces because Love ALWAYS overpowers fear. When you make the choice to become "conscious of what you're being", and you begin making the transition from fear to love, although fear may at times pop up it's ugly little head, when you're aware of what's happening and choose to shift back to Love at a conscious level, Love ALWAYS melts the fear away. The reason it does is because the "place" where ALL this stuff comes from is Love. There is no polarity at this level. Polarity only happens and becomes "real" in the Newtonian world...in our physical realities due to our individually chosen "perceptions and beliefs" regarding any situation or outcome. In the same way, Fear is only made real and possible as the result of our individually held "beliefs and perceptions" regarding ANY situation or outcome. Polarity is derived from Love and Love honors our choices but Love is always the dominant force because in the bigger scheme of things, Love is all there is. ALL probabilities exist within Love. What we perceive to be good, bad, right, wrong etc. find their origin in Love and are transmuted into our "tangible and physical realities just as we "believe and perceive" they will. So what exactly is it that we do to make the shift and reclaim our power? Our "True Power?" Be transformed by the renewing of your mind as one of the masters puts it. A choice to heed that advice…to follow and APPLY that profoundly empowering and transformational wisdom consistently in each and every area of your life will precipitate each and every area of your LIFE transforming right before your eyes. It’s vital that you’re willing to become "conscious" of the importance of making the shift first of all and once chosen follow through and stick with it if you “truly do” want to experience the results in a tangible kind of way. How do you begin this transformation process? You begin the transformation of the mind by tuning into and following the guidance and direction of the heart. It’s a profoundly powerful, creative yet underutilized approach. Become keenly and consciously aware of the habitual thought patterns based on fear that previous conditioning has instilled in you and transform your mind...make the shift to a focus of love. Be LOVE and you'll begin experiencing what you love. It’s as simple and complex as that. The level of complexity...how easy or hard it is for you depends on you. So many allow their passions to become separated from what they choose to do, essentially putting what they would love to do aside because they place so much emphasis on “doing” what others told them is necessary to survive and “get by.” They allow this programmed fear to keep them from engaging in their “heartfelt passions.” What they would Love to do. They fear that they’ll lack if they don’t "do" what they've been "told and taught to do" when the higher truth is they will lack because they won’t do what they love and are passionate about...what they're "heart" is directing them to do. Sure you might make some money "doing things" this way, but you’ll never fully experience the fulfillment that engaging in your "heartfelt passions" and "soul purpose" can provide. You'll never learn how to “truly live” and continue to settle for survival and "getting by." Most DO what they do for the money. Don’t DO what you DO for the money. Do what you do because you love what you do…Be passionate about what you do…put your heart and soul in what you love to do...Focus on and fully engage in what you do…Serve, share and contribute what you choose to do in a way that harmonizes with what you love and you'll begin "attracting" an Infinite number of people, events, conditions and circumstances through what you do and the money will follow. You begin "attracting it." Attraction NEVER fails. It can’t fail. It’s the law. Choosing a focus of Love attracts what we want and choosing a focus of Fear attracts what we don't want. Our job is to imagine, envision, and paint the desired picture in our "minds eye." Once we choose to "do" that we engage ourselves physically in the best way we know how based on where we are through a form of doing that “feels good” for us individually…what we are passionate about…what we love and once this “path” is chosen, simply letting go…surrendering it all to the Source of your understanding and "allowing" it to unfold. You "do" your part and then you simply "allow" the process of creation to "do" it's part. Your part is to become keenly and consciously aware of your "What", meaning becoming clear and concise on what heartfelt desires do you have. Once you're clear on the "what" define your why in a way that ignites “heart based” emotion and equally as important harmonizes with the benefit and good of all. Then simply begin taking action in a way that moves you toward rather than away from "what" you've defined for yourself. The rest is automatic. We’ve done all that we need or should do. We don’t have to know when or how our desires are going to become “real and tangible.“ We only have to know, continue following and doing what the heart is directing us to do and allow nature to take her course. We don't have to figure it out. In fact attempting to figure it out is precisely the way of "doing things" that blinds us to or leads us away from the shortest path to making our "heartfelt desires" real and tangible. Figuring it out is reverting back and depending on the intellectually acquired data that so often keeps us from moving toward and reaching the desired destination. The ways and means for our desired outcomes to unfold are Infinite in nature. Ways and means that our minds can’t even conceive due to the filters that "intellectual data" has created which blind us to the infinite possibilities and potential that are, always have been and always will be available to each of us. Filters that we have unknowingly and in many cases unconsciously allowed to keep us from comprehending, tapping into and seeing the infinite probabilities that exist all around us. We have to trust in the immutable and unwavering process. A process that has never failed or wavered since time began. We only have to tune into what the heart is calling out for us to do and follow it's lead. This is heart work we’re talking about. That's where outcomes that we love come from. That’s where it all begins. 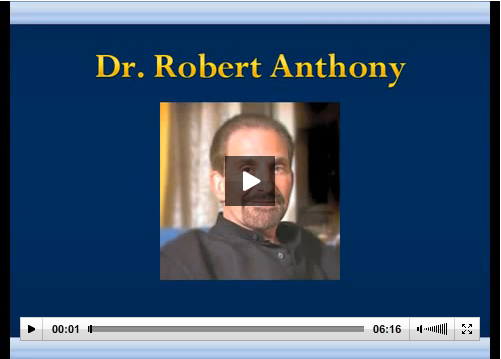 Listening to and following your heart and coming to the place that you understand…truly understand that attempting to use and follow the data stored in your head…subconscious mind junk…is choosing to tune into externally acquired data learned throughout your life…potentially false and self limiting data. Data based on what you’ve been told, taught, accepted and developed "intellectual beliefs" in without fully exploring, discovering and discerning for yourself if this data is factual. Much of this data...this "fear based" external noise that we've been programmed and conditioned with, keeps us from tuning into and engaging in our "hearts desires"...our passions and fulfilling the "soul purpose" that we've each been sent here to engage in and fulfill. Depending on and using your head exclusively is choosing to follow traditionally established and limited direction. Tuning into and following your heart is choosing to follow timeless wisdom that never has, never does and never will fail or waver. It begins by becoming "consciously aware" of "what" you believe...why you believe it and how these "beliefs" that your choosing to become "consciously aware of" make you feel. Head data instructs us that it's essential that we win regardless of who might lose in the process. 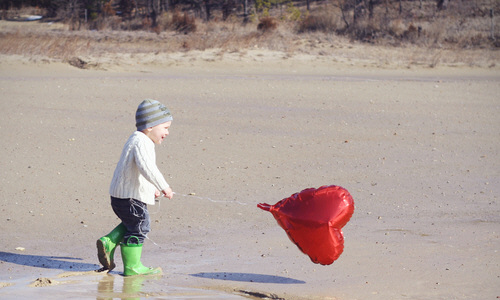 Heart data provides unfailing direction and points us toward a path that enables everyone to win. You have a choice. We ALL have a choice. You’ve been provided with an inalienable right of free will. An incredible and irrevocable gift that no one or no thing can take from you unless you allow it. Whatever you choose individually...what you choose to keep your ATTENTION on projects and communicates your INTENTION and whatever you choose will be carried out and fulfilled just as you choose. Your predominant ATTENTION determines and leads you down the path of your INTENTION, whether you're consciously aware of what that intention is or not and you'll "DO" things in such a way that ALWAYS harmonizes with your choice. The process of creation isn't flawed. There is no such thing as coincidence, chance, randomness or chaos. There are no good, bad, right or wrong paths. In the bigger scheme of things there's only ONE path that we all begin from and ultimately end up. The points between, how we utilize the free will provided to us individually...the choices we make determine the kind and quality of our experiences as we explore, experience and venture down each individually chosen path that exists in between. We have the ability and the right to choose and walk the short path to what we "truly desire" (the conscious path) or the same right and ability to choose and walk the long path (the unconscious path) that only delays the attraction of our "heartfelt desires." To choose the short path to the fulfillment of your individually desired outcomes...let's call it the "shortcut to harmony and fulfillment" in life, only requires becoming and choosing consciously. Before we can begin "doing" that though, it's essential that we first understand what it is, what it means and then making the commitment to ourselves to DO so...to become conscious and then begin "consciously choosing" which path we're going to walk down. Which Brings Us To The "Time Factor"
Due to all the "doing" that's going on and all the busyness that this "doing" creates, most people "perceive" themselves as not having the time to take this first simple yet absolutely essential step. The busyness created by all our doingness creates false perceptions that we just don't have time to slow down, discover and focus in on and and become "consciously aware" of this heartfelt direction that exists within each of us. Life mastery is made real and possible by choosing self mastery as your path. It's the ONLY path that will take you there. It requires a choice and it requires commitment to make the shifts. For some it may prove initially to be the hardest thing you've EVER done. 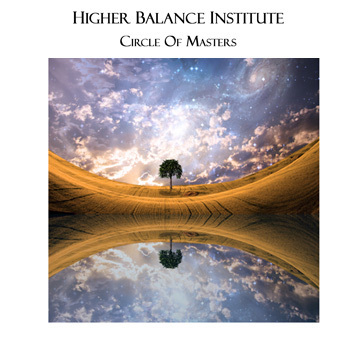 The path to self mastery can be shortened by placing focus on the direction of the heart and recognizing how the quality of your consciousness will initially attempt to take you off course and persuade you that what you love is just too big...too dangerous....too hard....too ???????? Consciousness has it's place. Our individual consciousness is what enables us to engage in our "doingness" that produces the "tangible results" and determines our havingness. 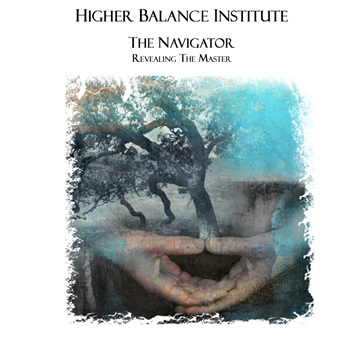 Master the ability to guide and utilize your consciousness (your mind) to carry out the doing of a “tangible nature” in the best way you’re able. A form of Doing that harmonizes with the instruction and lead of the heart. Harmonize your head with your heart. Become conscious of the self limiting, self defeating and fear based programming that surfaces…that only you can allow or disallow to flow and should it show up, acknowledge it, allow it to be OK, accept it, recognize it for what it is and make the gentle shift back to the path that carries you where the heart is leading and instructing you to go...the Love Path. Focus on and Do what you love. 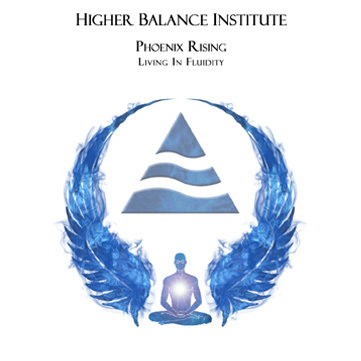 It effortlessly ignites a way of “being” that never fails to produce results that you love. Do the best you can based on where you are. It doesn’t have to be perfect…it just has to be. The perfection lies in your minds eye. You have the ability to mold, shape and create the "desired outcome" in your minds eye. Make it real and perfect in your minds eye. "Feel as if" the desires of the heart are already fulfilled. See it, smell it, taste it, hear it, touch it, savor it and express heartfelt gratitude for it. 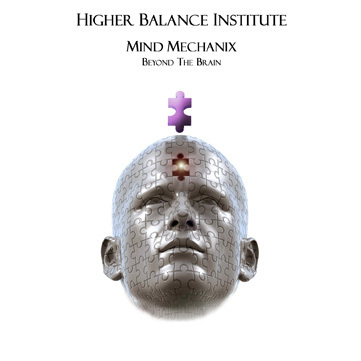 Be, do and have whatever your desire might be right now in your minds eye even though you can't yet see it with your physical eyes..
Gain “conscious control” of your mind rather than allowing your mind to lead and control you in it's attempts to drown out the communication of the heart. Harmonize it with your heart. Feel as if and allow yourself to experience it in the here and now. As you engage yourself in doing whatever it is that you choose to do, celebrate each step forward and accept any “perceived“ digression as a lesson...a sign designed to gently nudge and guide you back to the "desired" path. Pay no mind to what you see outside…tune into and remain focused on what you love, desire, envision, imagine and see inside. Become conscious of and take consistent action on the heartfelt communication based on love and fine tune your ability to recognize the intellectually acquired mind communication based on fear. Here's a very "simple way" to discern the difference. Your heart will never guide your fears. Fear, doubt, worry, grief, apathy, anxiety and apprehension are nothing more or less than road signs that the head is attempting to take over and throw you off course. It's attempting to conflict with and drown out the heartfelt direction that's always present and becomes blatantly obvious once you make the choice to recognize it. Tune into and focus on Love. Love for yourself…love for mankind…love for what is…love for what was…love for where you’re going…love for the perfection, simplicity and awesomeness of the unfailing process that provides whatever you choose…love for life. Choosing to "Do" so is a choice that will transform and enhance EVERY aspect of your life. Stick with it…practice it…live by it…persevere. Stay on course. The heart is the doorway to the soul. Choosing to get into your heart enables you to tap into an infinite form of wisdom and understanding that transcends common human logic. Tapping into this “place” isn’t something that can be accurately explained…it must be experienced in order to fully grasp it’s infinite scope resulting in a form of knowing that can never be stripped from you. If you have experienced it, you know exactly what I'm talking about. It’s not an intellectual form of knowing that’s subject to change based on externals. It’s a knowing that once experienced leaves you with an unwavering and unshakable type of knowing. You know that you know that you know regardless of how much someone might attempt to convince you that what you’ve come to know and experience is flawed or wrong or off course. You just know it’s not and there’s literally no one and nothing (no thing) that can shake it. Even if you should allow the intellect to slow the course you’ve charted, you know that the heartfelt direction you received is dead on target enabling you to persevere and work through the external noise and appearances that may show themselves occasionally. Heartfelt direction enables and empowers you to keep on keeping on…regardless of appearances or what’s going on “out there.” You grasp the power and the “true meaning” behind and the ability to be in the world but not of the world. You become “Transformed by the renewing of your mind”…literally. Before you know it your head will “get it”, follow suit and allow the heart to lead enabling and allowing a consistent flow of miracles in the physical, financial, relational, emotional and spiritual areas of your life…effortlessly. Choose love and let the rest go. 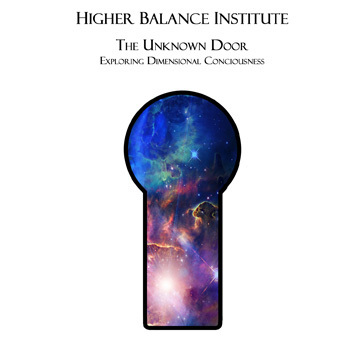 If you resonate with what I've shared and feel that additional insight and direction might serve you in walking the "conscious path", you may find The 7 Hidden Keys To Conscious Creation beneficial. It consists of more than 8 hours of audio where I delve deeply into and cover far more than I could possibly cover here. Just make a conscious, intentional and consistent choice to "Get out of your head and into your heart", stay the course and soon you WILL know what it means to experience the life of your dreams. 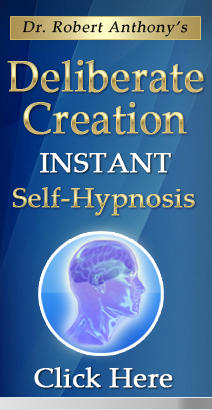 Now you have everything you need to get out there and create an incredible and miraculous 2010. Take what I’ve shared to heart. Ponder it, internalize it, apply it, practice it, fine tune it, persevere in it, discard what doesn't "feel right" to you and keep on keeping on. I know from personal experience that it will change what you see…that’s a promise. The really great thing about it is, Love enables us to choose our paths and it's this same Love...whatever you might "perceive" He/She/It to be that ALWAYS says yes and ALWAYS provides us with the outcomes that ALWAYS harmonize perfectly and precisely with our choice. All that's necessary for us to do is to tune into our hearts, (Love) choose and move forward consciously. The only question now is…will you? The answer to that question will serve as the determining factor as to whether you will or whether you won't get whatever you desire to be, do and have. One thing I can say without reservation is "I know you CAN." The 7 Hidden Keys reveals and clearly conveys the importance of BEING so you can begin DOING things in such a way that enables and empowers you to DO and HAVE what you want. Don't be swayed or fooled...Being is where your True Power is initiated. 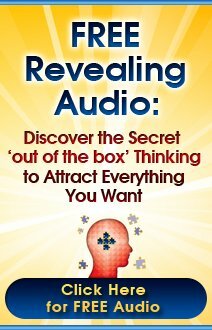 The 7 Hidden Keys To Conscious Creation will assist you in harmonizing and “consciously utilizing” your unique and individual "inner being" in a focused, intentional and powerfully creative way. Copyright © 2009-2015, This edition of Enlightened Journey titled Follow Your Heart and all content throughout Abundance-and-Happiness.com is protected by International copyright law and strictly prohibited from copy or reproduction in any form in whole or in part, electronically or otherwise without the express written consent of the author and/or Enlightened Journey Enterprises. All Rights Reserved Worldwide. 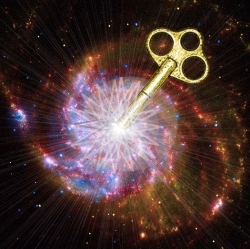 The 7 Hidden Keys To Conscious Creation recommended in the Follow Your Heart edition and throughout Abundance-and-Happiness.com have been personally tested and approved by the founder as a credible and effective means of accomplishing it's intended purpose. 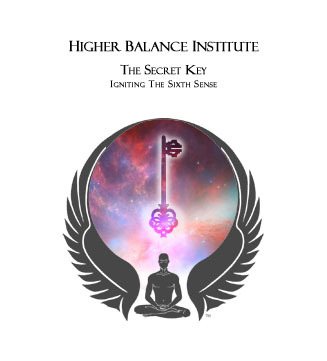 The 7 Hidden Keys specifically is unconditionally guaranteed by Enlightened Journey Enterprises for a period of sixty days from the purchase date.